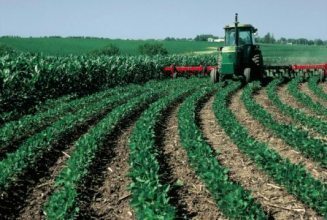 Conservation cover is the establishment and maintenance of perennial vegetation on lands retired from agricultural production. 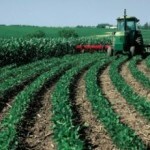 The main goal of this practice is to reduce soil erosion from soils that would otherwise be bare. 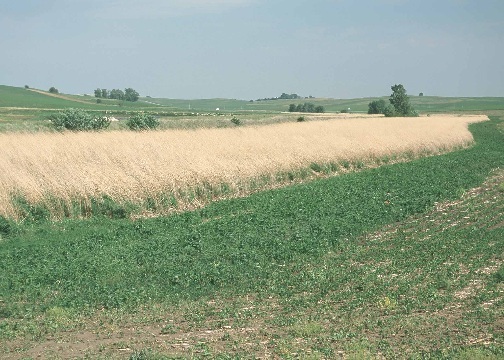 Contour buffer strips are narrow strips (15 ft. or greater) of perennial vegetation alternated with wider cultivated strips, farmed on the contour. The strips of permanent vegetation slow runoff and trap sediment and other water borne contaminants. This practice is used on steeper ground and can help reduce sheet and rill erosion. 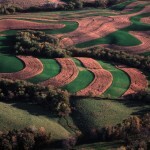 Contour farming involves planting and cultivating crops around a hill rather than up and down the hill. Contour rows run around a slope nearly on the level. 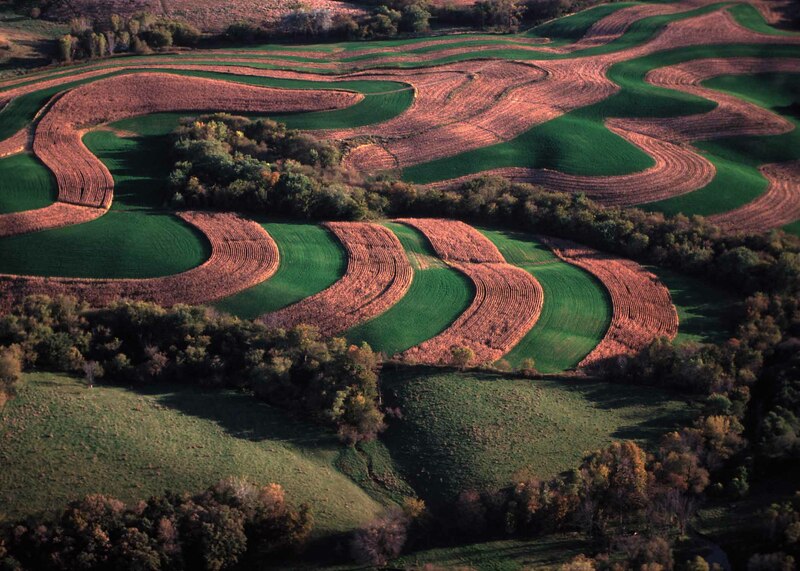 Contouring reduces sheet and rill erosion on sloping cropland. Strip cropping is a system of growing crops in approximately even width strips or bands on the contour to reduce soil erosion. 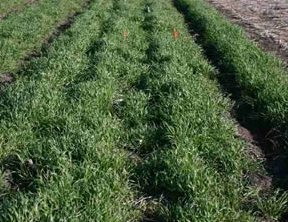 The crops are arranged so that a strip of meadow or close growing crop, such as oats, is alternated with a strip of row crop. 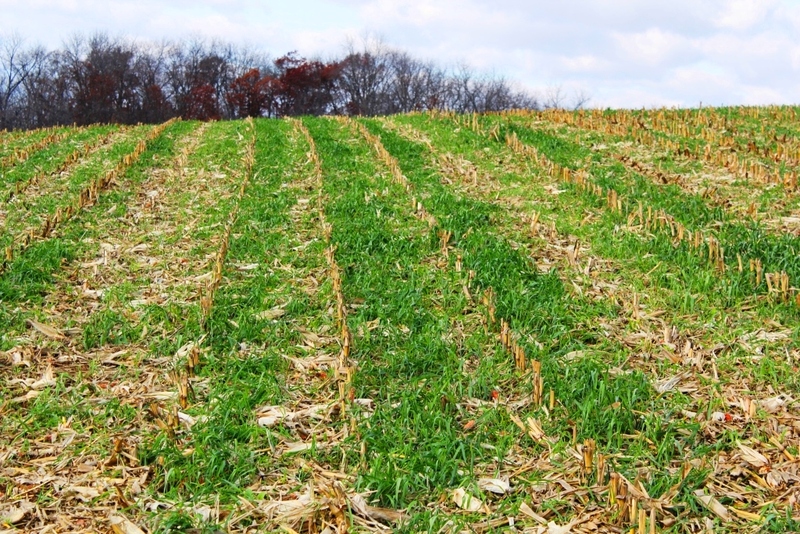 Cover crops are usually planted in the fall between harvest and planting of spring crops to reduce soil erosion, limit nitrogen leaching, suppress weeds, increase organic matter, and improve overall soil quality. 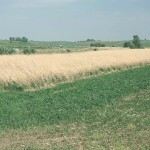 Several cover crops are suitable for grazing by livestock or wildlife. 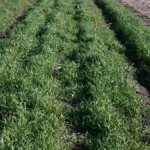 Some cover crops are winter killed, meaning they do not require spring termination. 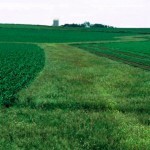 In northeast Iowa, it is suggested that winter hardy planted be used to due to the short fall growing season. 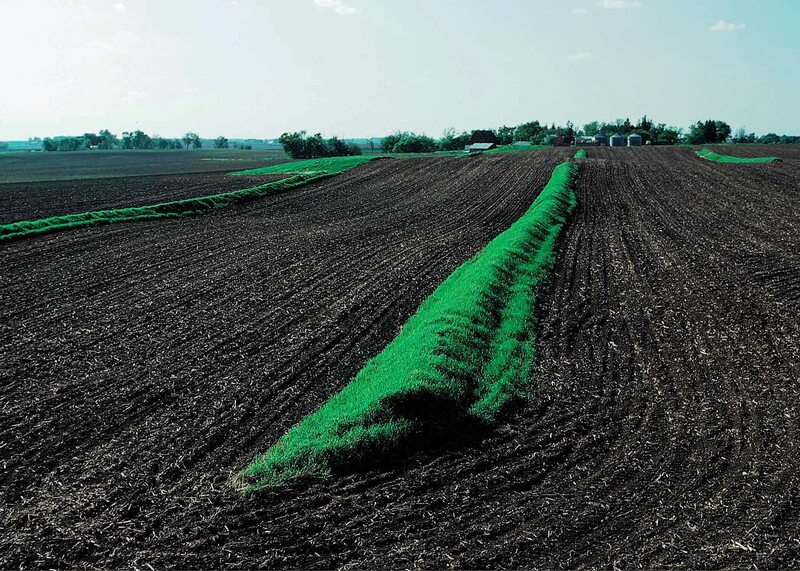 Filter strips are strips of grass that slow water flow and cause contaminants like sediment, chemicals, and nutrients to collect in the vegetation. Filtered water then enters water bodies such as streams and sinkholes. The purpose of filter strips is to reduce the amount of sediment and nutrients that enters water bodies. 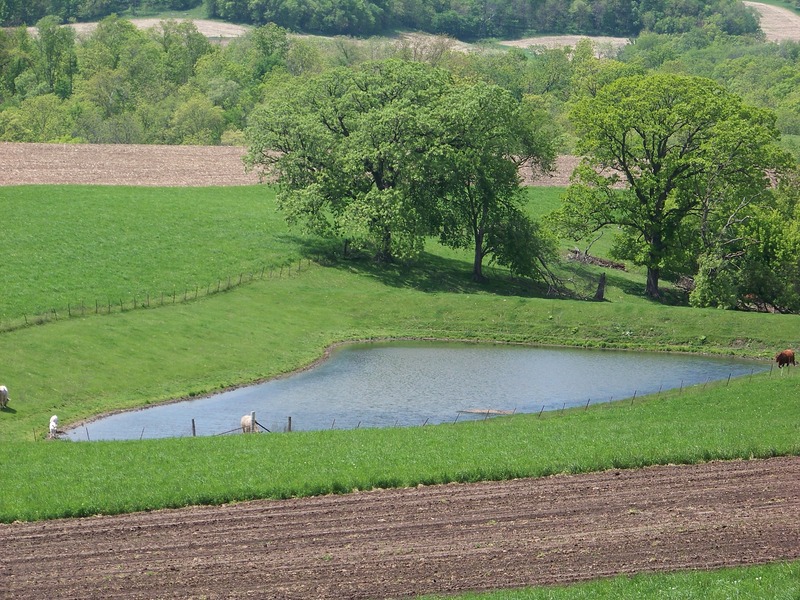 In areas where there is an existing low area, channel, or gully, grade stabilization structures can be built to help prevent soil erosion and protect water quality by collecting and storing runoff water. The goals of this practice are to stabilize grade (slope), reduce gully erosion, and improve water quality. 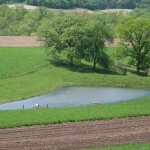 A dam is built across the gully or low area and a basin is dug out behind the dam to pond water. An overflow pipe controls the water level and allows water to spill through the dam without causing erosion. 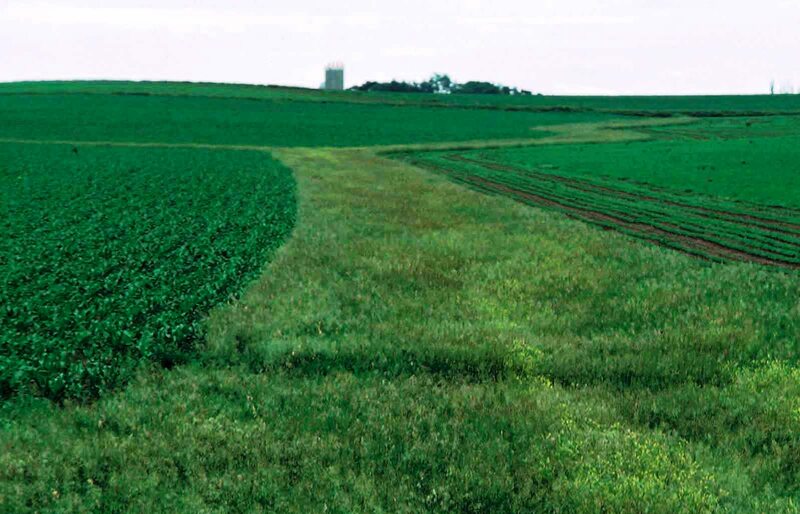 Grassed waterways are broad, shallow channels designed to move surface water across farmland without causing soil erosion. The vegetative cover in the waterway slows the water flow and protects the channel surface from rill and gully erosion. Waterways are often constructed in natural depressions where the water collects and flows to an outlet. 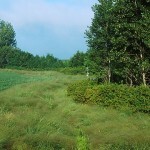 Riparian buffer strips are areas of trees and shrubs adjacent to streams, lakes, and other water bodies. A riparian buffer strip traps sediment and nutrients that would otherwise reach the water. The plant roots help control bank erosion by holding the soil together. The trees and shrubs also provide habitat for wildlife. 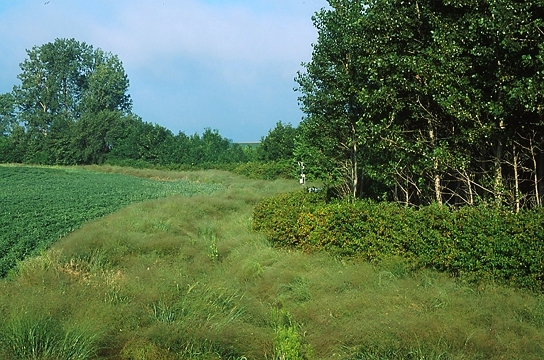 Riparian buffer strips can also include a grass strip to help trap even more sediment and nutrients. Photo courtesy of NREM-ISU. Terraces are earthen structures that intercept runoff on moderate to steep slopes. They transform long slopes into a series of shorter ones. The water trapped behind the terrace is guided to an outlet. 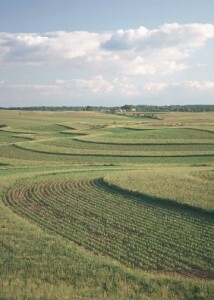 Terraces reduce surface runoff rates and allow soil particles to settle out. Water and sediment control basins are short earthen dams built across a drainageway to trap sediment and detain water. Basins improve water quality by trapping sediment upland and preventing it from reaching water bodies. They also help to reduce gully erosion by controlling water flow in a drainage area. They are often used where terraces are impractical. 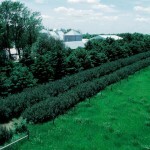 Windbreaks are multiple rows of coniferous trees or a combination of coniferous and deciduous trees planted to protect a farmstead or feedlot from wind and snow. Often, one or two rows of shrubs are also planted. 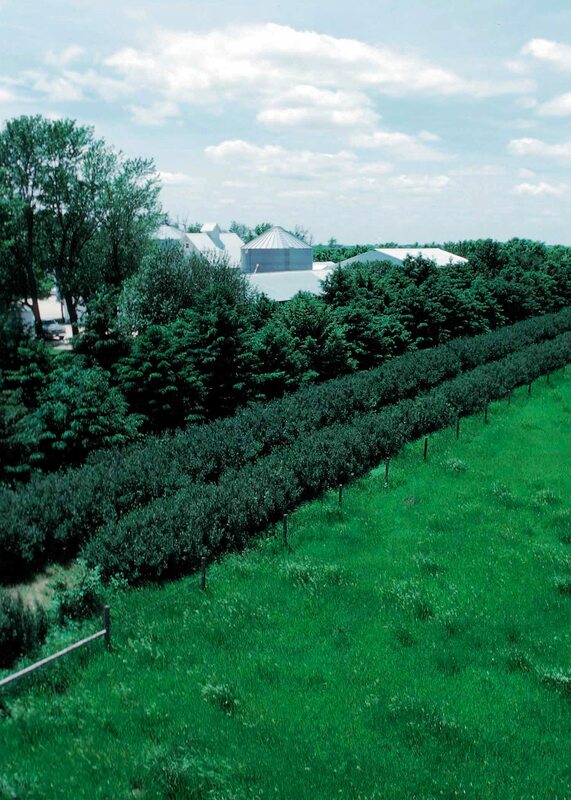 The purpose of a windbreak is to slow wind on the downwind side of the windbreak, which reduces wind erosion, provides shelter from the wind for livestock and homes, and also functions as a living snow fence to trap snow.